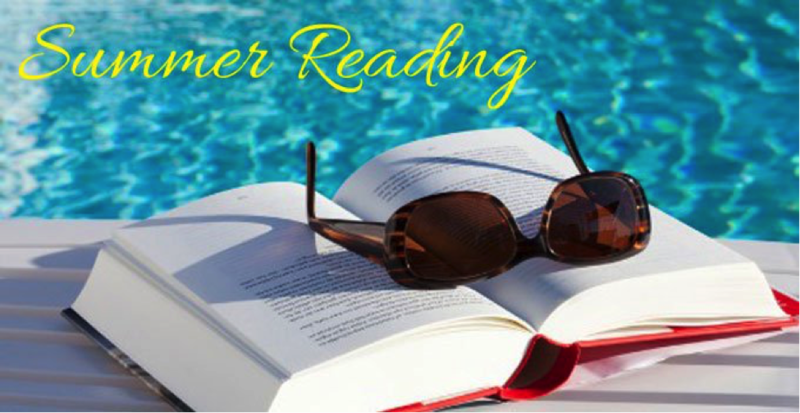 As Summer progresses, I’ve seen many lists of must-reads. Some to escape, others devoted to more serious issues. I’d like to offer two lists of books as important for your library, and for a provocative summer read. In this blog, I’ll offer the first list, six books that have opened my mind to impact my trajectory; and in my next blog, I will share a few titles that helped me venture East, specifically in Buddhism. I’ve chosen these first six books as unique in impacting my thinking and opening my mind. Each has helped to support my journey to embrace change. The Tipping Point is the first in a series of thought-provoking books by author and New Yorker contributor, Malcolm Gladwell, who has created a cottage industry as a thought leader’s, thought leader. He focuses on small ideas that can have a profound impact. Tipping Point, a term which is now part of our vernacular, points to those moments when an idea, trend, or social behavior crosses a threshold, tips, and spreads like wildfire. Originally published in 2002, this read is even more important in today’s complex environment as small things come to us with greater speed and are often overlooked. 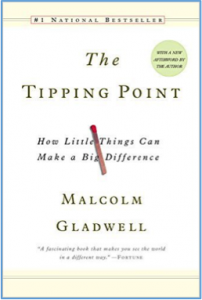 Gladwell offers situations and epidemics to illustrate Tipping Point’s three rules: The Law of Few; the Stickiness Factor; and, the Power of Context. I’ve also enjoyed two other titles from Gladwell: Blink (2005) and Outliers (2008). For equally thought-provoking ideas, Gladwell’s Podcast Revisionist History impacts large questions through small details. 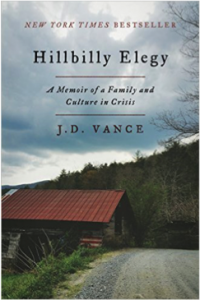 Hillbilly Elegy: A Memoir of a Family and Culture in Crisis (2016) by J.D. Vance represents a tender and notable peek into a declining demographic and worldview that is the Appalachian lifestyle and culture from someone whose family and ancestry lives, works and plays in this part of our nation. He delves into cultural mores while weaving in research, economic data and stats to back up some pretty powerful assertions on the loss of the American Dream for this cohort of Americans. Vance is also refreshingly direct about his ancestry and culture: how they resist change and avoid certain truths. He also evokes compassion inviting us to venture beyond our bubble to reach out and build bridges to this slice of America. 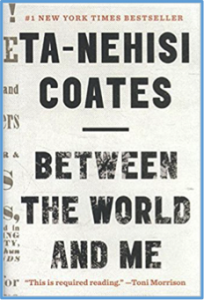 Between The World and Me (2015) is award-winning author Ta-Nehisi Coates’s attempt to answer big questions about our nation’s ideals and its deep history of racism in a letter to his adolescent son. Written with the penetrating wisdom of James Baldwin and deep compassion of Maya Angelou, I carefully pondered each page of this read. Candidly, it took me months to fully absorb it. Each chapter, dripping with truths that confronted my sensibilities, revealed how America has erected its “exceptional status” on the idea of “race,” a delusion that damages us all but falls most heavily on the bodies of black women and men. Coates details how black bodies have borne the brunt of exploitation through slavery and segregation, while threatened, locked up, murdered, and often beaten down by police, today — out of all proportion to the rest of society. Combined with Hillbilly Elegy this book-set fills an important cultural diet to unsettle open minds, confront settled beliefs, and increase our cultural IQ – perfect for a quantum leap in learning. The last 500 years have witnessed the breathtaking series of revolutions. The earth has been united into a single ecological and historical sphere. The economy has grown exponentially, and humankind today enjoys the kind of wealth that used to be the stuff of fairytales. Science and the industrial revolution had given humankind superhuman powers and practically limitless energy. The social order has been completely transformed, as head politics, daily life, and human psychology. 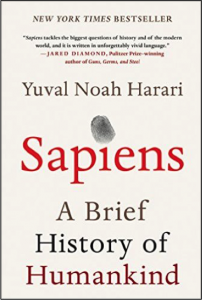 Join Yuval Harari’s Podcast as he unpacks our past and penetrates our future. 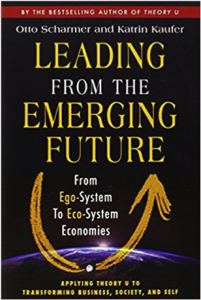 Leading from the Emerging Future: From Ego-System to Eco-System Economies (2013) by Otto Scharmer and Katrin Kaeufer expand on thinking from Theory U (second edition, 2016), Scharmer’s comprehensive theory explains current situations inside new contexts for leading. Briefly, our VUCA world defines our challenge this century: beyond political systems (1800s) or economic systems (1900s), we face a deficit of “Thinking” systems (2000s). We must update our economic logic and operating system from an obsolete “ego-system” focused entirely on the well-being of oneself to an eco-system of awareness that emphasizes the well-being of the whole. The gem of this book involves Scharmer’s genius in reconstituting listening as an openness of mind, heart, and will. He walks us through presence and sensing at a deeper level of listening, or “presencing” to discover our blind spot and disclose emerging whole systems and futures from our direct experience. This level of listening will become the coin of the realm for leading and leadership this next decade. Scharmer employs real-world examples, and a thought-provoking model of proven practices for developing the leadership mindset to create a new economy and society that is more resilient, intentional, inclusive, and aware. 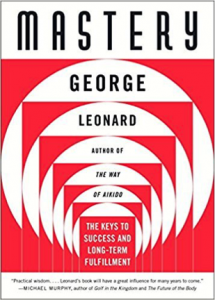 Mastery: The Keys to Success and Long-Term Fulfillment (1992) is a little book packed full of wisdom for life, leading and learning. Clients, students, and colleagues soon discover that our work together is located on the pages of this book. Drawing on Zen philosophy and his expertise in the martial art of aikido, human potential sage George Leonard reveals the process of mastery to help us attain a higher level of excellence and a deeper sense of satisfaction and fulfillment in our daily lives. Whether you’re seeking to expand your career or deepen intimate relationships, this prescriptive focuses us on learning to learn to master anything you choose and to achieve satisfaction in all areas of your life. The lesson that has most influenced me as a learner and professional is “sitting on the plateau”; that is, learning for its own sake, recognizing that when we achieve results often it has to do with our ability to stay with something until it ripens within. In these pages, you’ll rediscover doses of forgotten joy as you explore 1) the five essential keys to mastery, 2) the three personas – Dabbler, Obsessive, and Hacker – that are obstacles to mastery; and 3) how to avoid pitfalls along the path. There are many texts that have expanded my thinking – mostly philosophical, political, sociological or cultural – which can be too dense for a summer read. I’ve selected these six titles as thoughtful for today’s world, even those published a while back seem more significant today than when each was first written. Each offers a way to pull us out of our bubble either by puncturing our paradigm and worldview or by questioning our cultural norms and beliefs. Do yourself a favor in these dynamic and disruptive times, learn again to embrace learning. In my next blog, I’ll offer some summer reads to venture East.